There are a number of reasons to remodel a house. Some homeowners want to make changes so they can remain in their current residences instead of moving. Others are tired of outdated spaces and want to update them. Still, others are looking to improve their overall quality of life. No matter why you’re planning to renovate, you’re probably experiencing a range of emotions from excitement to extreme nervousness. After all, just about everyone has heard stories of residential remodeling projects gone horribly awry. In these anecdotes, homeowners often end-up paying significantly more than they budgeted for their jobs. This guide is meant to minimize the chances of something like this happening to you. As you read on, you’ll see several tips that will help you stick to the original purpose of your renovation without breaking the bank. Know the real reasons you want to renovate. 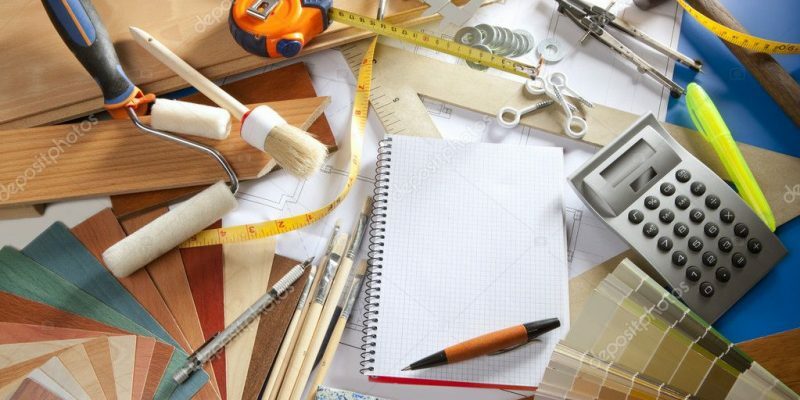 This might seem like a no-brainer, but sometimes the reasons behind renovations are more complex than homeowners initially realize. Maybe, for instance, you think you need a bigger kitchen, but what you really want is more space to prepare food. This could be achieved by re-configuring the kitchen counters in the room you already have instead of adding square footage, which is usually significantly more costly. Giving serious thought to how you use the room or rooms you intend to remodel can help you save money because you’ll only make those alterations that are necessary to improve your lifestyle. Add contingency costs to your budget. There are very few, if any, home renovation projects that ultimately go precisely according to plan. As a result of this, it’s a good idea to be prepared for additional, unexpected costs before your job even begins. This way, you won’t have to worry about where the extra funds are going to come from. A good rule of thumb is to make sure about 20% of your overall budget is for contingencies, such as wiring you didn’t know would have to be replaced, the addition of ceiling headers when you take down a wall and other issues. Make a list of your priorities and refer to it often. As you go through the renovation process, you will probably find yourself looking at a variety of photos online and in home decor magazines. This can give you ideas you had never even considered for your home. It’s important, however, to remember what your priorities are for your remodeled space. This will prevent you from putting the money you don’t really have toward features that won’t really benefit you and your family in the long run; remember, many things you see in pictures are just trends. To combat the urge to spend money on things that aren’t actually necessary, make a list of your priorities at the very beginning of your project. Then, whenever you are thinking about adding another task to the overall job, refer to this list. If you have the extra money available and you actually think the feature would be worthwhile, go for it. Otherwise, remember your true goals and adhere to the items on the list. At Hatch Homes, we enjoy handling both big and small renovation jobs. No matter what you’re planning for your house, we would love to oversee the project. Give us a call to discuss what you have in mind and to schedule an appointment with someone from our skilled team. Clients throughout North Carolina and South Carolina have been using our services for years, and we can’t wait to work with you too!